You can read more about the new features at the official release notes. Firefox 5 is set to release officially on 21st of this month. If you can’t wait for the latest version then you can grab your copy from Mozilla FTP server. 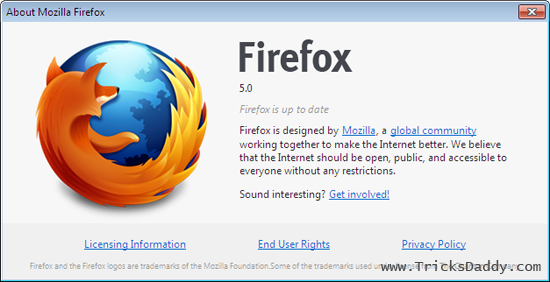 Firefox 5 is available for Windows, Mac and Linux users. This release may contain some bugs in it. To be on the safer side, it is better to wait until 21st June for the official release or download it now. After this release, another version of Firefox, Firefox 6 is also set to release this year. You may get surprised again with Firefox 6 and Firefox 7. Firefox is amazing browser and there is no doubt about that. Their team keep working on improvements.